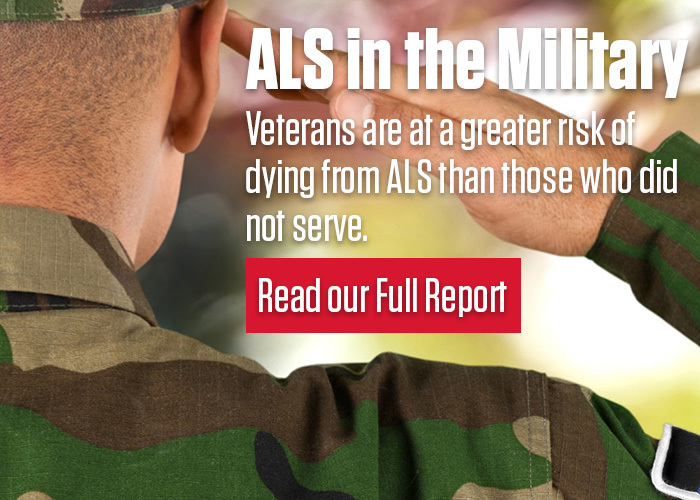 The development of ALS at any time after discharge or release from active military, naval, or air service is sufficient to establish service connection for that disease. Veterans who have a diagnosis of ALS are considered service connected regardless of the number of years following discharge they were diagnosed. The regulation is effective immediately and applies to all applications for benefits that are received by VA on or after September 23, 2008, or that are pending before VA, the United States Court of Appeals for Veterans Claims, or the United States Court of Appeals for the Federal Circuit this same date. Veterans diagnosed with ALS are considered service connected regardless of when or where they served in the military. However, a veteran must have had 90 or more continuous days of active service. The presumption of service connection for ALS does not apply if there is affirmative evidence that ALS was not incurred during or aggravated by service in the military or affirmative evidence that ALS was caused by the veteran’s own willful misconduct. The rating criteria for ALS in VA’s Schedule for Rating Disabilities is dependent upon the severity of the disease and its effect on the body systems involved. The minimum rating for ALS is 100 percent.